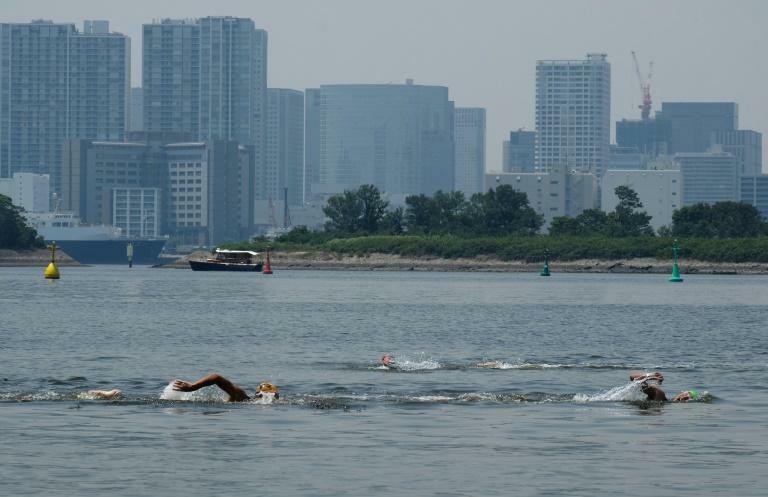 Despite measures by people like Sekiguchi and improvements in sewerage facilities, pollution in the water around Tokyo has been a concern as the city gears up to host the 2020 Games. Organisers admitted in October last year that prolonged summer rain had temporarily brought high levels of bacteria to the triathlon venue, sparking concern from international Olympic officials. But Olympic planners say they are confident that a combination of better sewerage facilities and the introduction of underwater screens will keep the water quality to international standards during the Games. "We will create an environment that will enable athletes to perform at their best with a sense of safety," Tokyo 2020 official Hidemasa Nakamura told a recent news conference announcing the triathlon courses. Unlike other major bay-side cities, such as Sydney or San Francisco, the densely populated Tokyo bay area has few natural landscapes remaining -- the result of years of development of public ports, container wharves, and Haneda airport. As a residential area, most of the bay is relatively unloved with rental and purchase prices there far below more fashionable areas of the expensive city. Development of the area dates back to the 16th century but rapid construction and pollution from Japan's post-war "economic miracle" made going for a dip there unthinkable to Tokyoites. Kenji Morita, another activist trying to clean up the water, said: "After heavy pollution in the 1970s, people have long forgotten about the sea in part because the Tokyo beaches were transformed into harbours, which are off-limits in general." Like Sekiguchi, the 60-year-old Morita is cultivating laver seaweed and clams in a bid to purify waters in Odaiba, the venue for the Tokyo 2020 triathlon and marathon swimming. 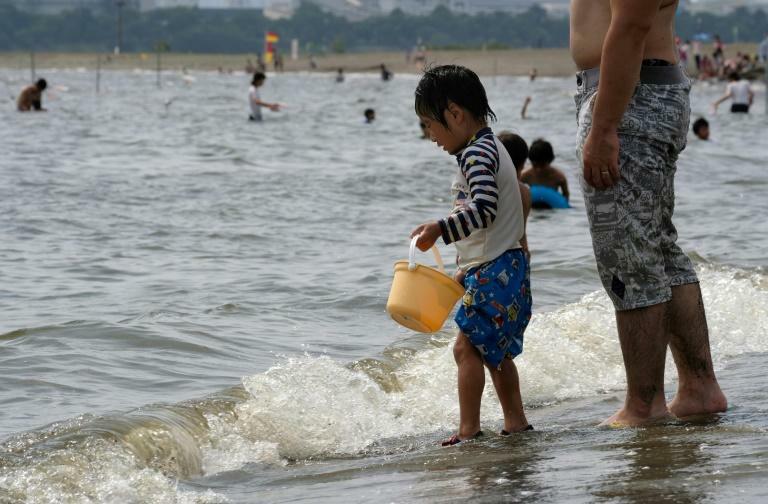 This year, beaches in Odaiba were opened for swimming for nine days as a trial, with the water quality checked daily before bathers were allowed to submerge themselves. Morita said his project had the unexpected benefit of appealing to people with disabilities as Tokyo seeks to improve facilities ahead of the Paralympic Games. "When I first started this five years ago, I didn't realise it, but this place has easy access for everyone," thanks to ramps and lifts, he said. "People with a physical or mental impairment choose to come to Odaiba instead of going somewhere outside Tokyo." "I see a lot of potential here in building enthusiasm for the Tokyo Paralympics," added Morita. And many believe that the upcoming Olympics, now less than two years away, is the perfect opportunity for Tokyo to clean up its act. 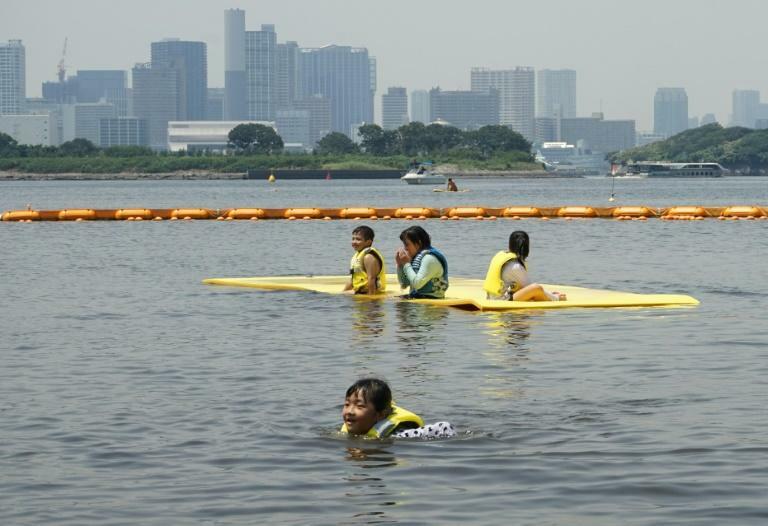 The mayor in charge of the Odaiba area has pledged to "make a swimmable Odaiba sea a legacy of the Tokyo 2020 Games." Sekiguchi, an architect who also runs his own museum, said his project was driven by "frustration for not being able to give my daughter the natural experiences that I had." "In 2020, if Tokyo can show the world a way of life that can coexist with nature, I think Tokyo will earn global respect."